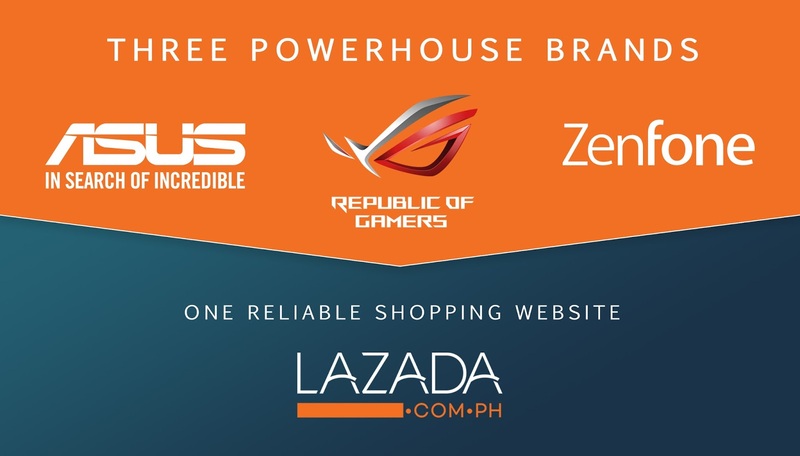 ASUS Philippines formally announced today the official opening of its three “concept stores” online namely – ASUS ZenFone Store, ASUS Republic of Gamers and ASUS Store which are all officially operated by ASUS Philippines together with its select key dealer partners. 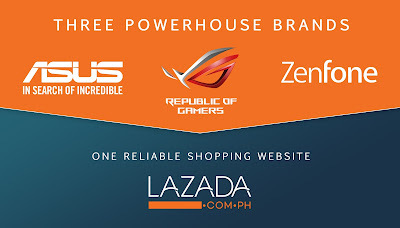 The newly opened online stores will be ASUS’ gateway to its fans and other Filipinos end-users all over the country who want to purchase its whole range of product line from smartphone, notebooks, gaming laptops, motherboards, monitors, mini PCs, peripherals and all key devices conveniently through hassle-free online shopping experience. The ASUS ZenFone Store will be carrying the complete line-up of smartphones of the company and as well as their soon-to-be launched devices which is dubbed as the “most intelligent ZenFone ever” the ZenFone 5 series. On a similar note, ASUS Republic of Gamers will be also offering its key gaming machines in the newly opened online store which brings ROG closer to its fans all over the country. ASUS store on the other hand will be more focused on selling ASUS’ entire consumer line-up from mainstream notebooks, ultra-books, 2-in-1s, convertible, all-in-one and mini PCs and monitors. “We started our business in the Philippines ten years ago and we have experienced a lot of changes in the business ecosystem locally. From just selling motherboards in our early days in the country now we have a full line-up of products that we share to Filipinos to meet their evolving demands,” shares, George Su, ASUS Philippines Country Manager for Systems Group. Opening three concept stores online is our way to make our products easily accessible for our fans and all Filipinos who want premium yet value-for-money devices. There is no doubt that Lazada is the perfect online partner for us because they are the number-one online shopping website in the Philippines that offers effortless shopping experience, Su added. The ASUS X407 and X507 is a perfect device for people who are looking for a notebook that offers great performance, portability, premium design without hurting your wallet. Both devices are powered by the latest Generation Intel® Core™ i3 processor with 1TB HHD and NVIDIA®GeForce® MX110 discrete graphics while the Pentium and Celeron is equipped with 500GB storage. The X407 and X507 have a super thin NanoEdge display with a slim bezel for an immersive viewing experience. Both feature a fingerprint sensor for quick and easy logins with Windows Hello. Despite its large display, X507 is extremely portable, with an overall weight of just 1.68kg. The 14" version, ASUS X407, weighs just 1.42kg. Both X407 and X507 are designed for daily computing and entertainment. These Windows 10 laptops also support new and exciting Windows features including Cortana with voice recognition, allowing the user to wake the device from sleep mode simply by saying the “Hey, Cortana” command. For maximum convenience and compatibility, X507 includes a USB 3.1 Gen 1 Type-A port, two USB 2.0 ports, an HDMI port and a microSD card reader, as well as 2x2 802.11ac Wi-Fi and Bluetooth® 4.2, despite coming in an ultrathin form factor. Both laptops support fast charging, requiring only 49 minutes to charge a near-flat battery to 60%. In addition, ASUS SuperBattery technology ensures a 3X-longer battery lifespan compared to traditional laptop batteries. All-around performers, the 15-inch ROG Strix GL503 and 17-inch ROG Strix GL703 are powered by the newest Intel Core i7 processor, and Windows 10, equipping the gamer to control the competition. Both laptops also offer up to 32GB of fast DDR4 2400MHz memory and include a VR-ready GeForce GTX 1060 GPU that delivers smooth and stutter-free gameplay for unforgettable virtual-reality experiences. Strix GL503 and GL703 feature built-in Aura RGB illumination technology, so you can fully customize the backlighting to match your gaming style or mood! The newly designed four hot keys are for in-game convenience and speedy control: With mute, volume up/down, and ROG Gaming Center buttons right where you need them, full control is at your fingertips. The keyboard features a highlighted WASD key group and anti-ghosting technology with n-key rollover to ensure that your inputs are tracked precisely, no matter how many keys are pressed; and the 0.25mm-deep keycap curve is precisely shaped for typing accuracy. Both the Strix GL503 and GL703 includes ROG Sonic Studio software with in-game noise cancellation and voice-volume stabilization technology, to deliver clearer, louder and more enjoyable audio and chat. Sonic Radar helps gamers detect opponents through an on-screen overlay that shows the relative position of gunshots, footsteps and other in-game sound effects. With Sonic Studio and Sonic Radar, gamers enjoy high-quality in-game audio that provides a strategic advantage. The ROG Strix XG32VQ and ROG Strix XG35VQ are two impressive curved gaming monitors that deliver an immersive and comfortable viewing experience. The 32-inch ROG Strix XG32VQ is versatile curved monitor that offers the perfect balance between smooth gaming and brilliant image quality, while the 35-inch ROG Strix XG35VQ is the largest curved monitor in the ROG family and offers unparalleled viewing immersion. Both models feature Adaptive-Sync (FreeSync™) for extremely fluid gameplay without tearing and stuttering, and include ASUS Aura Sync lighting that allows for seamless synchronization with other Aura-enabled components and peripherals. With a full view 5.7-inch Full HD (2160 x 1080) resolution with its outstanding 80% screen-to-body ratio and 2.5D front glass design, allows you to dive in the immersive visual experience. ZenFone Max Plus makes photos, videos, and all your other content like you never experience before. ASUS is one of Fortune magazine’s World’s Most Admired Companies, and is dedicated to creating products for today and tomorrow’s smart life. Our comprehensive portfolio includes Zenbo, ZenFone, ZenBook and a range of IT devices and components, along with AR, VR and IoT. ASUS employs more than 16,000 people worldwide and over 5,000 world-class R&D talents. Driven by innovation and committed to quality, the company won 4,511 awards and earned approximately US$13 billion of revenue in 2017.